SKIP TO NAVIGATION Colette Stern, M.D. 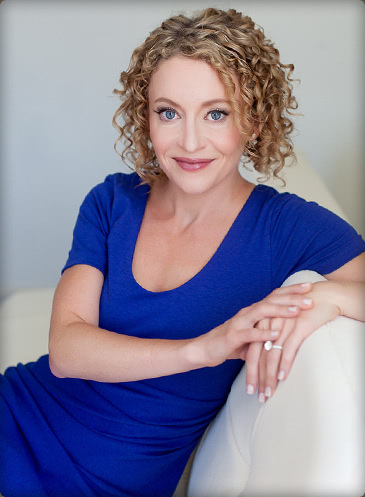 Dr. Colette Stern is a board certified female plastic surgeon located in Asheville, North Carolina. She was raised in Atlanta, Georgia and received her Bachelors degree from The University of Virginia. Her Medical Degree was obtained from The Medical College of Georgia, from which she graduated in the national medical honor society, Alpha Omega Alpha. After graduation, she completed her General Surgery and Plastic Surgery training at the University of Utah Health Sciences Center. She subsequently had the privilege of training under Dr. Daniel Marchac, a world-renowned plastic surgeon in Paris, France. Throughout her training and education, Dr. Stern has received multiple awards, co-authored chapters in plastic surgery textbooks, published in leading plastic surgery journals, and presented at several national plastic surgery conferences. She has served as an adjunct instructor for the Department of Surgery at the University of North Carolina School of Medicine. Dr. Stern is certified by the American Board of Plastic Surgery. In addition to her academic accomplishments, Dr. Stern believes in philanthropy and helping those who are less fortunate. She has volunteered her time traveling to India where she helped many underprivileged children and adults by performing reconstructive procedures. Dr. Stern’s education, training and specialization in cosmetic plastic surgery allow her to provide a wide range of surgical and non-surgical procedures with a safe approach and natural looking results. Her attention to detail and precision are evident in her outcomes and patient satisfaction. Dr. Stern has a fresh outlook towards plastic surgery and utilizes the latest techniques. Dr. Stern specializes in breast surgery, mommy makeovers, and body contouring. As a mother herself, Dr. Stern understands the changes one’s body undergoes following pregnancy and the challenges that follow. She is passionate about helping patients feel and look their best, while maintaining a natural appearance. When you arrive at our Asheville, North Carolina location, you will instantly receive the highest level of attention and care from our friendly and professional team. When you leave, it is our goal that your experience with us has met or exceeded all of your expectations. During her free time, Dr. Stern loves spending time with her husband and two boys, traveling and recreating outdoors whenever possible. She is passionate about running, biking, and swimming, and has enjoyed participating in numerous marathons and triathlons. She recently qualified for the Boston Marathon and competed in an Ironman. Lucinda is our patient coordinator. She can help you with scheduling consultations, office visits, procedures, and surgeries. Call her any time with questions. Meredith is Dr. Stern’s nurse. She, too, is always happy to answer any questions you may have. Melissa is Dr. Stern’s assistant, always greeting you with a smile in the operating room and in the office. You will also meet Susan, our receptionist, and Kimberly, our surgery scheduler. Alice, Mary Ellen, and Jaime are our operating room nurses. They will help care for you during surgery and in recovery. They will go over detailed verbal and written instructions with you and your care provider before and after surgery. Dr. Smith is our anesthesiologist. She will call or meet with you prior to the day of surgery to discuss your health history, medications, and planned anesthesia. She will answer any questions and discuss any concerns you may have regarding anesthesia. Call us at 828.210.9355 or contact us online to schedule your personal consultation. "Thank you for making my plastic surgery experience an unforgettable one. Your staff was very patient and positive and made me feel very comfortable.